As the Headmistress of Agasthya Vidyanikethan, I firmly believe that the moments spent at school must be the best moments of an individual’s life time. As the head of academics and with more than 26 years of experience as an administrator and an educator, I am delighted to share with you that the school’s values align with my own personal values, including the importance of trust, respect, innovation and a sense of community. We are a caring community where students' needs are a priority and where traditional Indian culture and modern Western educational values are respected and encouraged to coexist. Aristotle once said that - "Educating the mind without educating the heart is no education at all". We live today in a world that is so very different from the one we grew up in and were educated in. The world today is changing at such an accelerated rate and I as the HM is duty bound to pause and reflect on this entire system of Education. I would wish to reassure our parents that Agasthya Vidyanikethan has all the resources at its behest to mould your children and produce well balanced personalities. The curriculum will continue to be regularly reviewed to ensure that it remains appropriate and relevant to the needs of our young learners. 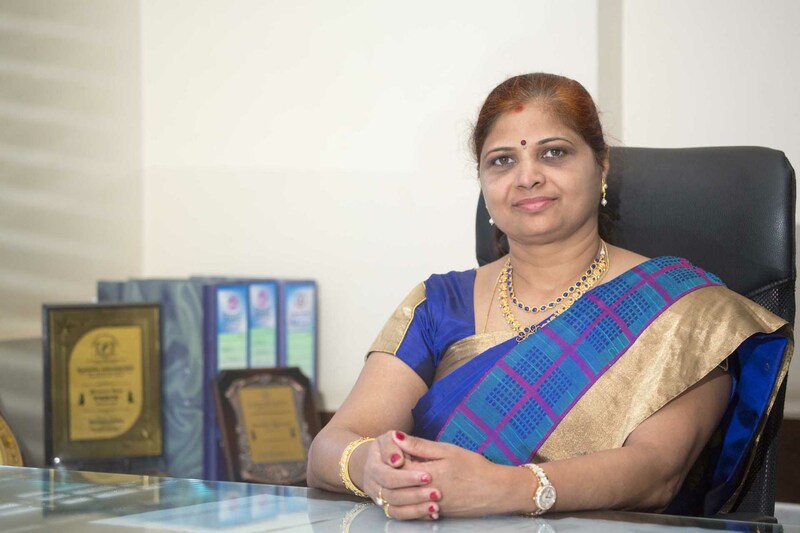 My heart is filled with immense pride to share with you that our Principal Mrs. Nagarathna Aradhya has been awarded “Best District Principal Award” in recognition of her outstanding performance as the Principal of our school in SOF’s Olympiad examination conducted during the academic year 2016-2017. I believe that success comes to those who work hard and stays with those, who don't rest on the laurels of the past. I will continue to mould our children on the lines of Margaret Mead who once said "Children must be taught how to think, not what to think".